East Falls exploded in joy Sunday after the Eagles’ big win. Our highlights, plus local scoop on Thursday’s massive celebration. OMG, it really happened! After decades of crushed dreams, Philadelphia fans finally realized sweet victory at last. 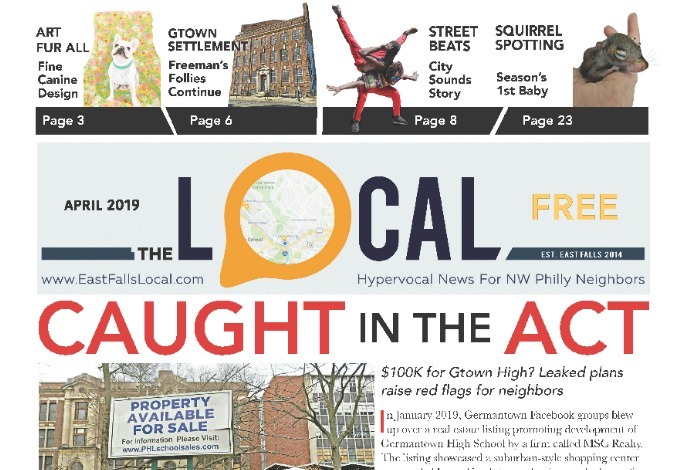 The brouhaha’s not over, either — over 2 million people are expected to soon flood the city, with some repercussions in our neighborhood. First: all Philadelphia public & parochial schools will be CLOSED Thursday — this includes not only Mifflin but also St. James School nearby. All district administrative offices will also be closed for this “once in a lifetime” event that the city would evidently like to savor. 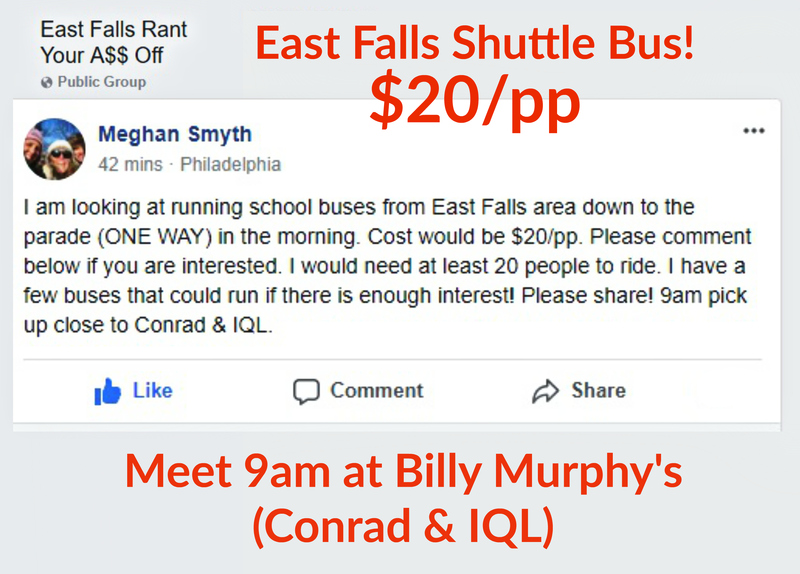 Concerning SEPTA, we’ve got good news and bad news. We’re happy to report FREE RIDES on the Broad Street subway and Market-Frankford lines all day Thursday. So yay! Fortunately for East Falls cyclists, Center City is a straight shot down Kelly Drive — you can make it in like 15 minutes. Bundle up, though: Thursday’s weather forecast is mid 30’s. No rain is expected, but wow that wind off the river can freeze your face and fingers if you don’t take precautions. Downtown, the parade will start around 10:45am when the Eagles motorcade leaves Lincoln Financial Field, heading north on Broad Street, circling City Hall, then up the Parkway to end around 12:30pm with a ceremony on the Art Museum steps. The entire route will be barricaded, with 14 Jumbotrons lining the Parkway from Eakins Oval to City Hall plus “some surprises” elsewhere along the way. At least 40 food trucks will also be set up in this area (and some food freebies), but the Mayor’s Office encourages attendees to bring our own food & water but not alcohol — backpacks full of beer will be confiscated on sight. “I doubt people will be drinking at 10:45 am,” Kenney told reporters at Monday’s press conference, apparently forgetting everything he knows about football fans and Philadelphia, ha. Officials say they’re providing 850 portable toilets along the parade route. 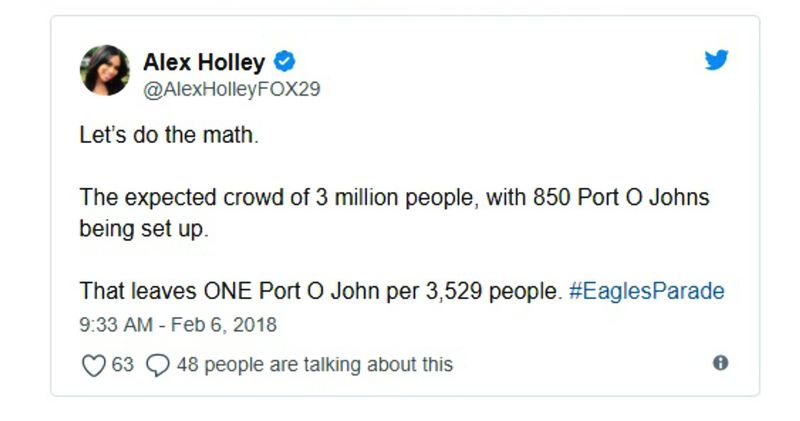 So doing the math for a crowd of 2 million people — that’s like 2400 people per potty! Drink your beer early if you can, restroom options will likely get real ugly, real fast. Getting home, expect “surge pricing” on Uber and Lyft. Ridesharing fares will likely soar on Thursday as throngs of passengers compete for rides from a smaller-than-usual pool of drivers. Not that cars seem like a good idea for anyone, there’ll be a bunch of streets closed & parking restrictions. Steve remembers “gridlocked traffic everywhere” after the Phillies parade — hopefully the city has a better plan for our championship celebration this time around. 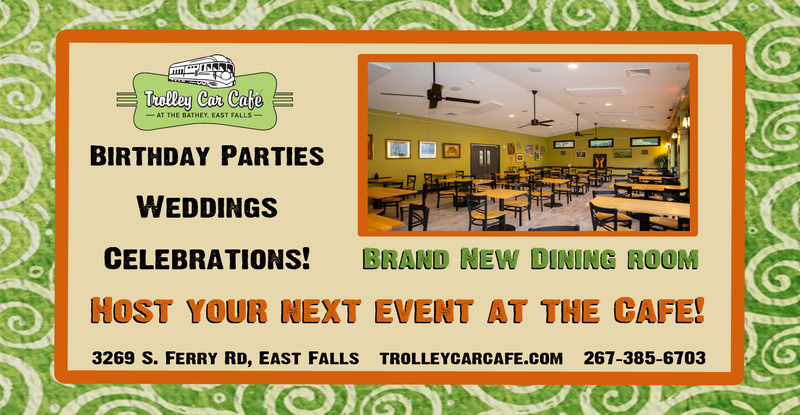 And if not, oh well: guess we’ll all have an excuse to keep the party going! In this spirit, Steve and I will be biking down to the action Thursday morning, with our eye out for Fallser Fans to high five (and feature in our follow-up). 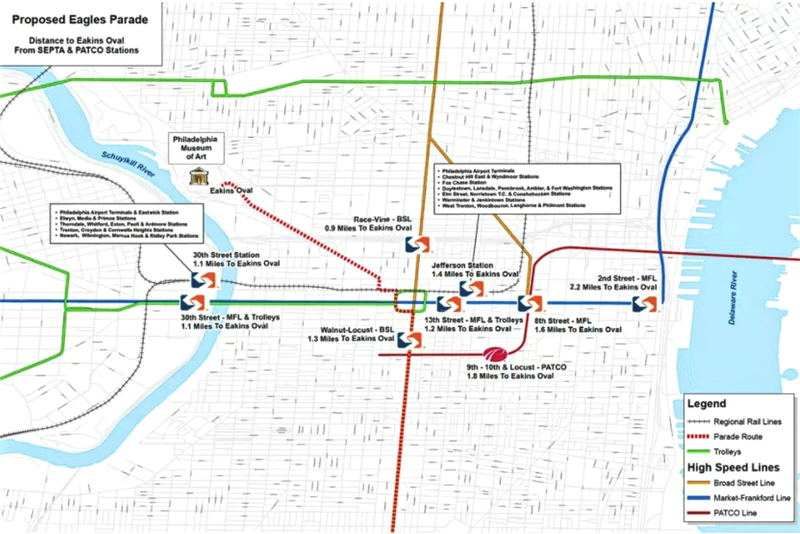 Heads up, cyclists — Phila Bicycle Coalition prepared some tips for riders plus a full list of detours. YAY FOR OUR SUPER BOWL CHAMPS! What better way to cheer a historic win, than with a party of epic proportions. PS Highlights above from the incredible game at Murphy‘s. After the parade, stop by the Saloonery for fun & swag with Brooklyn Brewery, who’s tapping a new keg here, a sour — “just like Brady’s tears!” Mike told us. Let me get this straight…they want us to take public transit to the parade, then they SHUT THE TRAINS DOWN? How stupid is that!?? 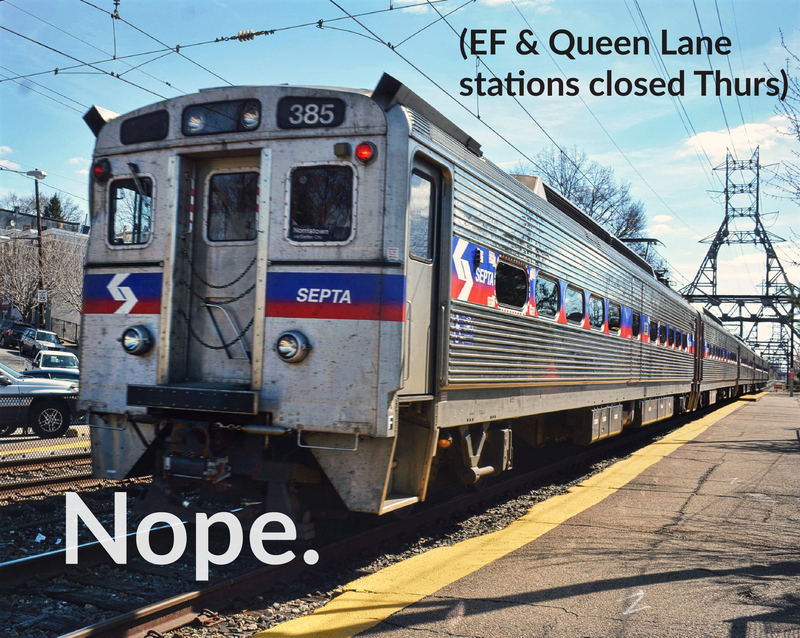 I can’t fathom what SEPTA’s thought processes would be that would lead to that decision. To clarify, the trains will still be running — they just won’t be stopping at many stations along the route due to (anticipated) heavy volume.